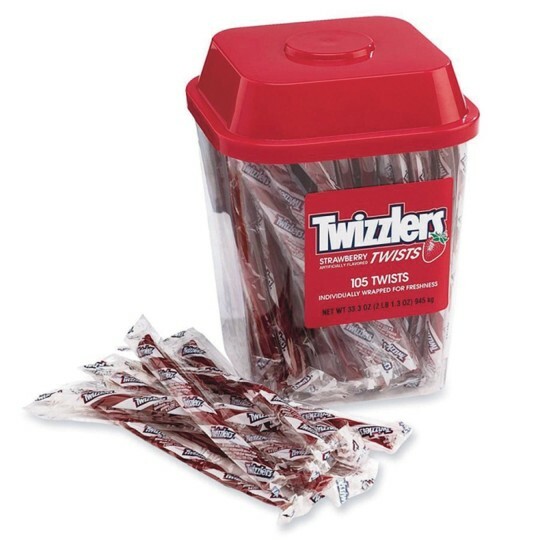 Strawberry flavored, licorice style, low fat candy. Individually wrapped pieces. 2-pound tub. 105 pieces.